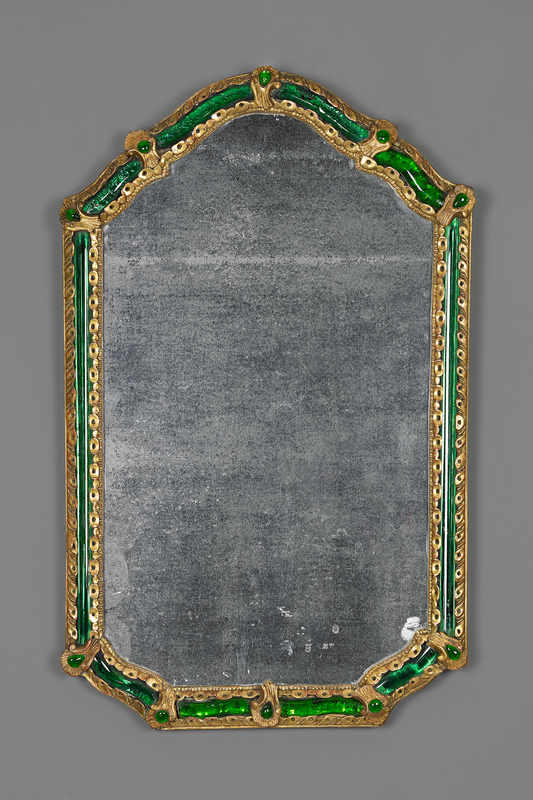 A small wall mirror with a giltwood frame decorated with paillettes and green Murano glass. 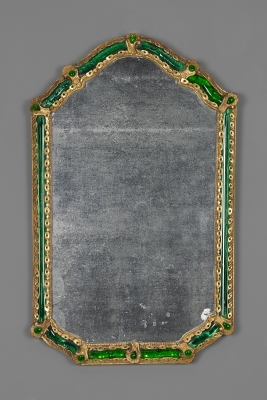 On all corners the frame is embellished with a small sculpted rocaille with a green glass center. Murano, near Venice, was since the middle ages the European center of decorative glass products. 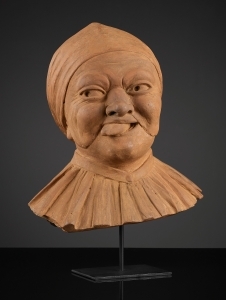 Because the Venetian authorities had forced all glass workshops to move to Murano in 1291, allegedly to control the fire hazard, the concentration of glassblowers on the island stimulated an important and productive industry. 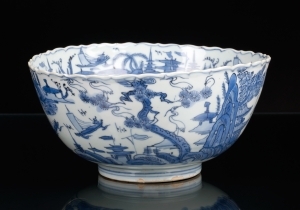 The products were sought after throughout Europe.